The Dakar Rally will return to Peru in 2018 after a four-year hiatus. This international endurance event attracts off-road racers from around the world for its challenging 14-stage route across the vast and varying terrain of three South American nations. 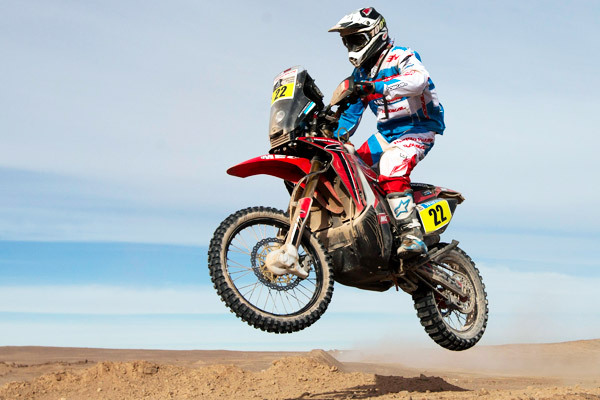 The 40th edition of the Dakar Rally will include stages in Peru, Bolivia, and Argentina. Amateur and professional racers from around the world will compete in four main categories: motorcycles, quads, cars, and trucks. Each stage can range in distance from a few kilometers to 900 kilometers (560 miles) per day across challenging and varying terrain. The last time Peru hosted the Dakar Rally was in 2013, and Peruvians and foreigners alike anxiously await its 2018 return!